In drawing and painting such an intimate portrait, forming the features and painting the areas where sunlight warms the face, I was able to immerse myself in the tranquil beauty of the moment and to reflect on the serenity of Darryl Roman‘s image, undoubtedly captured by a friend or family member. As I rendered his features, referring back and forth between a small handful of images available on the internet, I reflected on his accomplishments and all of the loving and positive things that people who knew him had written. These became the foundation for his portrait. I grew to feel that I knew him, at least somewhat, and I keep the planning drawings close to my desk. 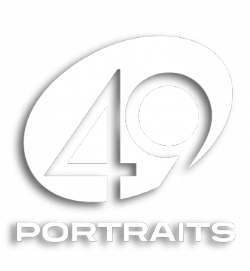 It is my hope that the process of memorializing these 49 people through portraiture will shine a light on their beauty and value and allow their community to transcend the fear, violence, and destruction of bigotry. I am Seattle based painter and multi-media artist. I studied at Lafayette College, University of Washington, Pratt Fine Arts Center of Seattle and SACI, Florence. My themes are generally architectural and spatial, concerned with the ephemeral nature of perception and interpretation. Although I rarely depict people, I have felt very honored to participate in this exhibit and welcomed the opportunity to do something constructive and nurturing in response to the tragedy that took 49 people from their communities, friends and loved ones.